Hello all, my name is Outlaw, Debbie Outlaw that is. I am the book and pattern buyer for United Notions. I am jumping feet first into this blog world to keep you up to date with books and patterns from all across the globe and all available through United Notions. Feel free to leave a comment and let me know what kinds of features you would like for me to cover in my future posts. I thought I would start across the Pond with Quiltmania. If you aren’t familiar with Quiltmania & the beautiful books they print, then you might want to peruse this post and have a look. Each of the books are printed in French & English within the same book. Beautiful images, great instructions & a great value for the amount of projects in each title. We have collected about 20 bag projects in very different styles. Those fashionistas are going to turn green with envy… Take a peek. Peruse some of the pages from the book. 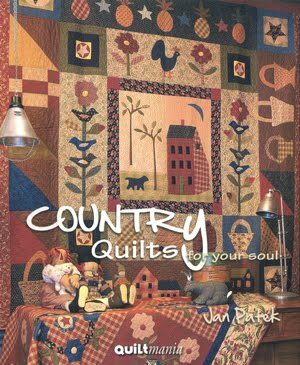 Country Quilts for Your Soul by Jan Patek to see a preview click here. 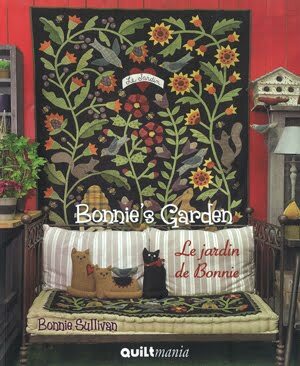 Bonnie’s Garden by Bonnie Sullivan preview can be seen here. Welcome to the extraordinary garden imagined by Bonnie Sullivan! Come and discover all her small friends living here! Cats play with birds among fl owers on quilts, appliqué pictures, cushions, table runners, hooked rugs, punch needle projects and other ideas, putting woollen and brushed cotton fabrics to good use. This book is as sweet and enchanting as its author and it features twenty projects to die for! Jan has chosen Quiltmania for this book gathering all the quilts which have been significant in her life. She is recognised as the pioneer of the Folk Art style which she has been practising for 30 years. Through her appliqué works, she likes to tell stories, a little something about her life, her surroundings and people around her. She creates quilts to warm her soul. Twenty of her most beautiful projects are featured here, complete with instructions and full size templates. Chuck was the first master to introduce and teach quilting in Japan. Her colleagues, editors and fans all agree to say that she simply is a genius! 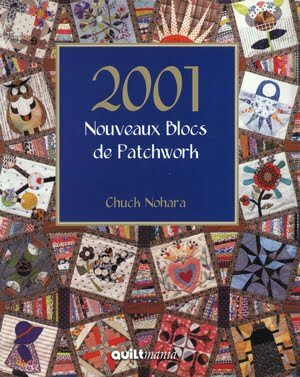 We have had the great privilege of once again publishing this bible of 2001 blocks which has been sold out in Japan for years. It is a monument of talent, fantasy and creativity where you will fi nd ‘standard’ patterns redesigned and reinterpreted by Chuck. Simply exceptional! This book is going to help you create gorgeous quilts that do not have to be complicated. Next Next post: Mind Your Own Beeswax! Welcome to the blog world Outlaw. Glad you’ve joined the blog world. A most welcome addition. And, of course, you needed something else to do with your spare time. I’m warning you though, it can be addicting. Great to hear from you, Debbie! Keep it up! 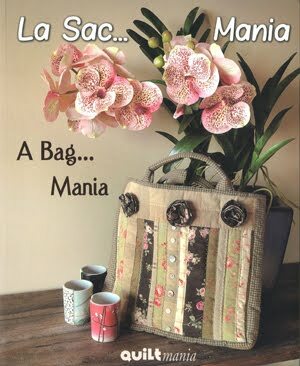 Where can I buy the Quiltmania bag book? Well look at that! Outlaw has join us in blog land! Welcome! I would like all the Books love me some Quiltmania!